Salle Mauro offers fencing classes to students as young as 3 in the Southside Place neighborhood. Whether this is for fun or for sport we have a class for everyone. We would love to register your whole family today! Our private classes are for anyone that doesn’t prefer a group setting. These classes can benefit anyone who is trying to master their skills. We also have beginner and advanced classes for the students who don’t mind being in a group setting. We offer private birthday parties for groups of 20 or more. We provide everything, but food. If you are looking for a unique party, then please contact us for more details. 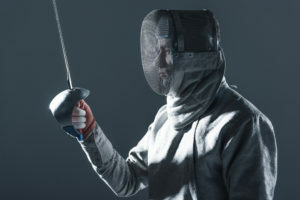 Try our fun and competitive fencing classes in the Southside Place area. Southside Place, Texas is in Harris County and has more than 1,000 current residents. This community is known as the 14th wealthiest city in the state of Texas. Annual Spring Garden Party – join the community in supporting the beautiful gardens. Movie Night In The Park – enjoy a movie under the stars with your whole family. Spring Jazz Festival – come out and support the high school Art center. Great entertainment for the whole family. To find out more info about our town you can visit the Chamber of Commerce or the city page. Our office here at Salle Mauro can sign you up for classes today. Our friendly instructors can answer any questions you may have. Please call us for class details!